Cold temperatures and rain were not what we were hoping for during our Spring Sale. We are grateful for the many people who came to the showroom despite the chill and the rain and purchased some lovely items. Thankfully, the weather in Amman is warming up and this week finally feels like Spring. Because of this, we have decided to continue our showroom sale until Thursday, March 22nd. Now you too can shop at the sale and find several handmade card designs for .50 JD, photographic cards for .25 JD, last chance jewelry for 50% off, handmade mosaic boxes for 50% off, hand-painted ceramics for 60% off, and many more last chance items. 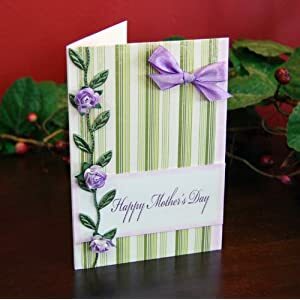 For those of you in Amman, remember that Mother's Day is March 21st. That is this Wednesday. Our sale is a great opportunity for you to buy your mother a lovely handmade gift and card.